The following article originally appeared in the November 2014 issue of The Spectrum Monitor magazine. 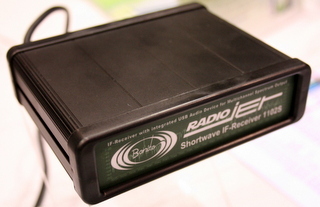 Although many large government shortwave broadcasters are departing the shortwave radio scene, there’s no shortage of great products being introduced to it. Indeed, growth in the portable and SDR (software defined radio) markets is reasonably rapid. This suggests, perhaps, a new kind of future for shortwave. The following is a basic, easy-to-follow buyer’s guide to some of the best receivers on the market. This guide is, by no means, comprehensive; rather it’s a selection of rigs I know or own, thus have tested. If your budget is tight, or if you’re looking for a radio that could easily slip into your glove compartment, backpack, carry-on, or even jacket pocket, you need to look at an compact shortwave radio. Typically, there is a performance compromise with compact radios: they don’t typically have the sensitivity, like their more expensive cousins; they have a more limited frequency range; and they don’t detect single-sideband signals. Nonetheless, the ones listed here are fine performers for their size and price. Entries are listed in alphabetical order. 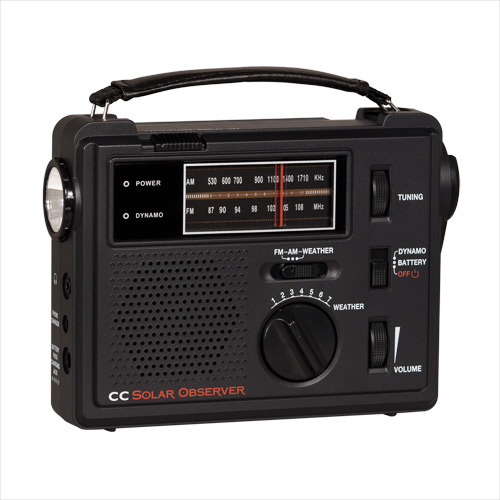 The CC Radio SWP has been on the market for many years and has become a classic portable. The layout and design are very simple, the display clear, with easily-read icons and intuitive controls. The tuning knob on the right side is for fine tuning–no muting or chugging between frequencies, either. Shortwave and MW sensitivity are better than one might expect for a radio this size; I often find myself comparing it to much pricier portables. But most significantly, this radio offers the longest battery life of any radio I own: almost 70 hours on 2 AA cells! 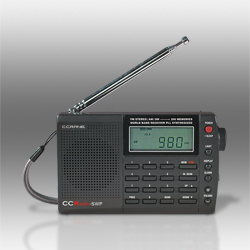 The CC Radio SWP is available from C.Crane for $55.00 US. 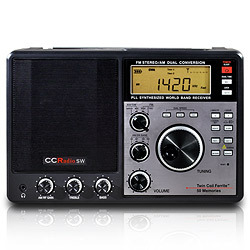 You can also purchase the CC Radio SWP from Universal Radio ($44.95) and Amazon.com. Note: The CC Radio SWP may soon be replaced by the new CC Skywave which has just started shipping at time of posting. The Kaito KA1103 packs a lot of bang-for-your-buck if you’re looking for an inexpensive, ultra-portable entry into SWLing. Like the CC Radio SWP, the KA1103 (a.k.a. Degen DE1103) has enjoyed a long market life. 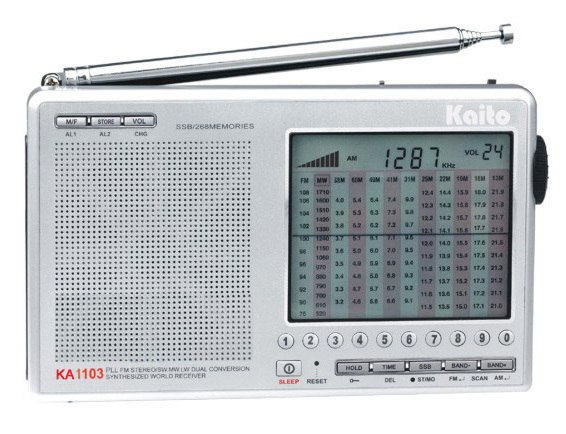 The KA1103 is full-featured and one of the only sub-$100 radios with SSB mode. One interesting design feature of the KA1103 is its large Digital/Analog frequency display: the LCD screen features the frequency display in digits, but also sports a working digital representation of an analog frequency dial. As you tune up and down the band–with, yes, a tuning knob–the LCD needle moves along the display as it would on an analog radio dial. 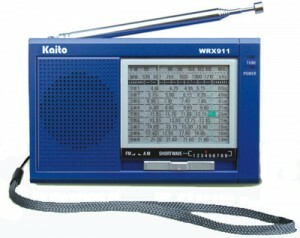 While I believe radio ergonomics could be improved, the KA1103 is still a great bargain. 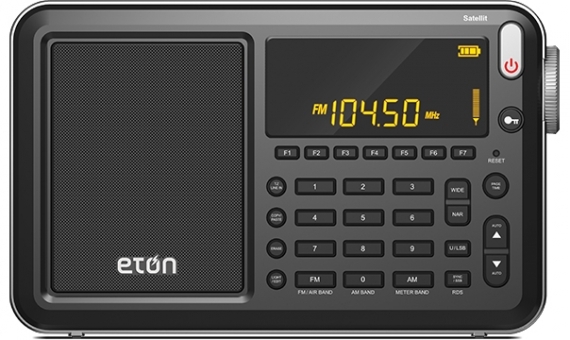 The KA1103 is available at Universal Radio for $79.98 and Amazon.com for $79.99. Click here to search eBay for the Degen DE1103. The Tecsun PL-310ET is an updated version of the acclaimed PL-310, a mini-legend in the world of portable radio, offering exceptional value and high-performance in a small package. The PL-310ET is fueled by a SiLabs DSP (Digital Signal Processing) chip that gives this ultra-portable excellent sensitivity and selectivity. The PL-310 has been a favorite amongst ultra-light Dxers, as sensitivity and selectivity are exceptional for the price. The new “ET” version of the PL-310 sports ETM tuning; a feature which allows you to scan the entire band and automatically store all strong stations to temporary memory locations. I believe the updated PL-310ET also has better AGC for weak signal DXing than its predecessor. Another bonus is that the PL-310ET sports an external antenna jack for shortwave and FM reception. 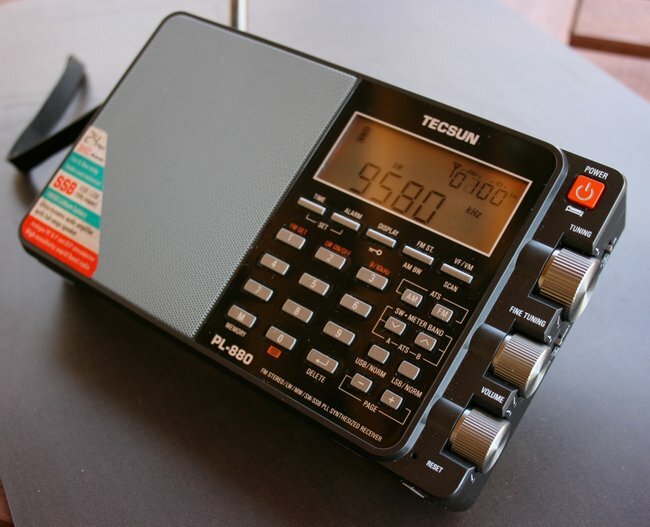 The Tecsun PL-310ET is largely available from Hong Kong-based sellers on eBay (http://ebay.to/1seZP3h) as well as on Amazon.com. The Tecsun PL-380 is my favorite radio under $60. Much like its cousin, the PL-310ET (above), the PL-380 has a DSP (Digital Signal Processing) chip that gives this ultra-portable excellent sensitivity and selectivity. For three years, I have traveled extensively with the PL-380 in tow, and I’m constantly amazed by this radio’s excellent audio and reception across the bands. 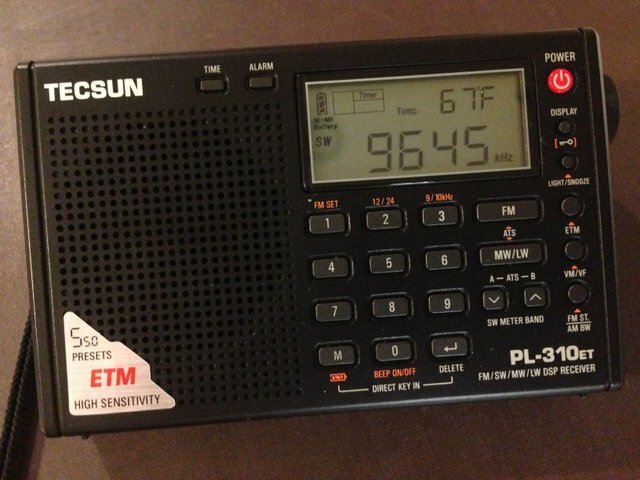 The Tecsun PL-380 is available from Universal Radio for $59.95 and from Amazon.com for $54.99. Click here to search eBay for the PL-380. Tecsun offers a number of compact portables, based on a similar DSP chip as the PL-380, but with built-in stereo speakers. Check out the Tecsun PL-390, PL-398BT, and PL-398MP, too. In the portables market, I believe you get the most value and quality in the $90-250 price class. Most beginners and seasoned SWLs prefer a radio that includes everything necessary to get on the air immediately; all of these radios provide just that. Straight out of the box, you’ll have everything you need to listen to shortwave bands. 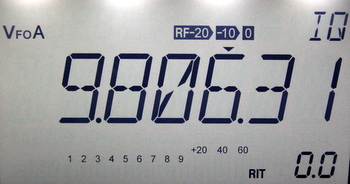 All of these recommended radios are designed to pick up major shortwave broadcasters with ease, and offer the following features: good frequency coverage; circuitry that helps in the detection of weaker stations; and the ability to receive single-sideband (with the exception of the CCRadio-SW, see below). If you’re not as concerned about portability, the C.Crane CCRadio-SW is an excellent broadcast receiver. 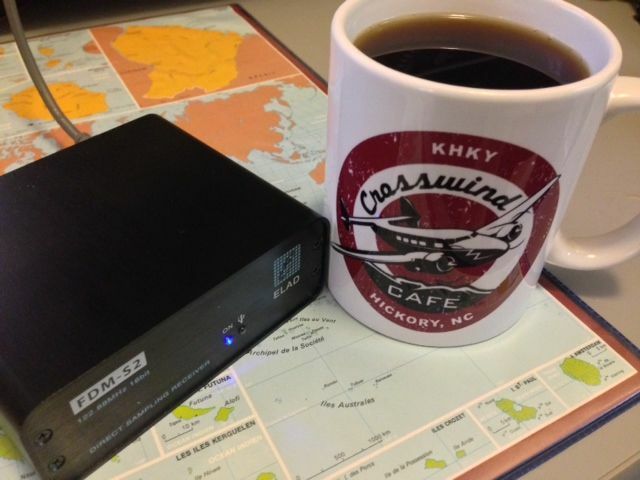 Think of the CCRadio-SW as a larger portable or tabletop radio (11.25″ x 7.25″ x 3.5″). What makes this radio stand out from its peers? Exceptional audio fidelity. The large built-in speaker has separate treble and bass controls and reminds me how important audio quality is while listening to a faint signal. This radio’s audio will fill a large room. Shortwave sensitivity is very good. Medium wave (AM broadcast) reception is excellent. Negatives? No direct keypad for frequency entry, and the SW also lacks a native SSB mode (a rare missing feature in this price class). With that said, it does have impressive array of external connections, including an IF-Out connection, which (with an IF converter and some free software) will allow you to interpret SSB and an array of digital signals, including DRM (Digital Radio Mondiale). What really strikes me about the CCRadio-SW is its sheer ease of use. Its design is simple, ergonomic, and highly effective. I’ve often recommended the CCRadio-SW to listeners who want simplicity of use and robust audio. The CCRadio-SW is available for $149.95 at C.Cranes’ website, $129.95 from Universal Radio and is also available on Amazon.com. Click here to check eBay for used models. Radios with a similar form-factor include the Grundig S450DLX and the new Eton Field. At $249.95, the Sangean ATS-909X is one of the priciest full-featured portables on the market. The 909X sports a large alpha-numeric display, tactile buttons, and a solid build quality. I also believe the 909X has a one of the better internal speakers and audio fidelity amongst portables. Negatives? Surprisingly, the 909X lacks synchronous detection, a tool most other portables have in this price range. Additionally, in my recent shortwave portable shoot-out, I gave the Sangean low marks for sensitivity; this review was based upon use of the built-in telescopic antenna. With an external antenna, on the other hand, the 909X performs admirably. If you’re looking for a quality portable with a front-end robust enough to be attached to a larger external antenna, the 909X may very well be your radio. The Sangean ATS-909X is available at Universal Radio for $249.95 and Amazon.com for $219.99. Click here to search for used ATS-909Xs on eBay. Sangean still has several models of portables available. Check out the Sangean ATS-404 and ATS-505P. For performance, you’ll find that the Sony ICF-SW7600GR is top of its class among full-featured portables. Two of its outstanding features is a solid synchronous selectable sideband (a feature which helps to reduce fading distortion and adjacent-channel interference) and stable AGC circuit. In fact, the ICF-7600GR was chosen as a favorite in a blind audio test on the SWLing Post. Indeed, my only criticism of the ‘7600GR is that it lacks a tuning wheel; instead, you’re forced to use tuning buttons on the front face of the radio. 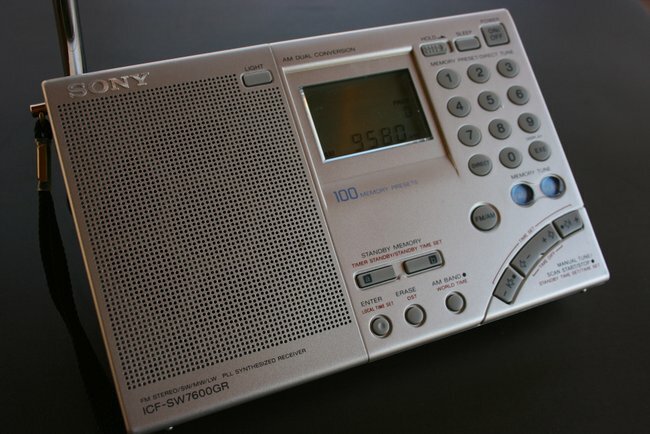 The Sony ICF-SW7600GR is available at Universal Radio for about $150.00 and at Amazon.com for $130-150.00. Click here to search eBay for a used ICF-SW7600GR. The Tecsun PL-600 is the value leader among the full-featured portables in this list. It can be found at a wide array of retailers, such as Universal Radio, Amazon and eBay. Price ranges from about $65 to $90. I’ve often recommended the PL-600 as a first full-featured radio for the budding SWL, and for good reason: the PL-600 has great sensitivity, selectivity, and even has capable single-sideband reception. The PL-600 does a surprisingly good job of holding its own against the other contenders in this list. Negatives? Like all sub-$100 portables, the PL-600 lacks synchronous detection (and if this is a deal-killer for you, check out the PL-660). Additionally, the PL-600 is not well suited for large external antennas; but it does work quite well with its own antenna. In a nutshell: if you’re not willing to spend over the $100 mark, the PL-600 is a safe bet. 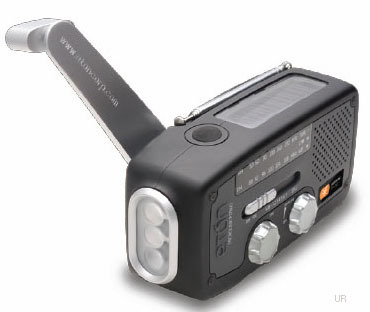 The Tecsun PL-600 is available at Universal Radio for $89.95. Click here to search eBay for new and used PL-600s. The Tecsun PL-660 is one of the best selling portable shortwave radios currently on the market–and for good reason. This rig has a full compliment of features and is quite easy to operate. The sync detector (selectable USB/LSB) is currently one of the best in the sub $150 US price range. Sensitivity and selectivity are both excellent; indeed, I consider it to have the most sensitive receiver among the portables listed here (and so. With the introduction of the Tecsun PL-880 on the market, the PL-660 has also become more affordable and can be found at or near the $100-120 price point with shipping. What a bargain! 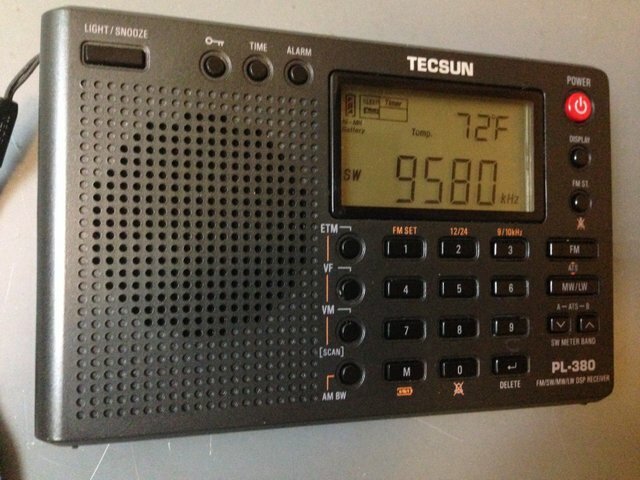 The Tecsun PL-660 is available at Universal Radio for $109.95 and on Amazon.com (prices vary). Click here to search fro a new or used PL-660 on eBay. The Tecsun PL-880 was introduced to the market one year ago (November 2013), and while the introduction was a bit bumpy (feature variation based on differing firmware versions), it has recovered and found quite a good following. While the PL-880 does not rank as highly as the PL-660 or ICF-SW7600GR in terms of sensitivity (see review TSM June 2013) it does have compensating factors. For one thing, the PL-880 has the best audio fidelity from its internal speaker among the radios listed here. It’s also the most feature rich, boasting the most filter selections and a growing number of “hidden” features (http://wp.me/pn3uc-2tl). I also love the build quality, ergonomics, and tuning options; indeed, the PL-880 even has a dedicated fine tuning control. Negatives? Though the PL-880 has an undocumented sync detection among its “hidden” features, I find its sync lock quite feeble, compromising audio fidelity a bit too much. 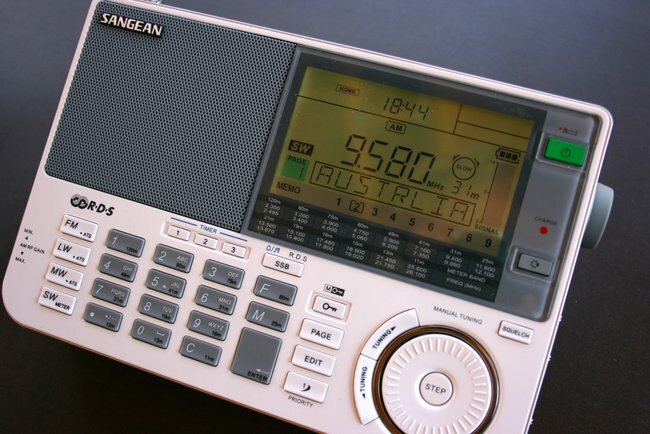 If you’re looking for a small portable that will fill a room with rich audio–whether you’re listening to the BBC, a classical concert, or just two ham radio operators chatting on 40 meters– look no further than the PL-880. 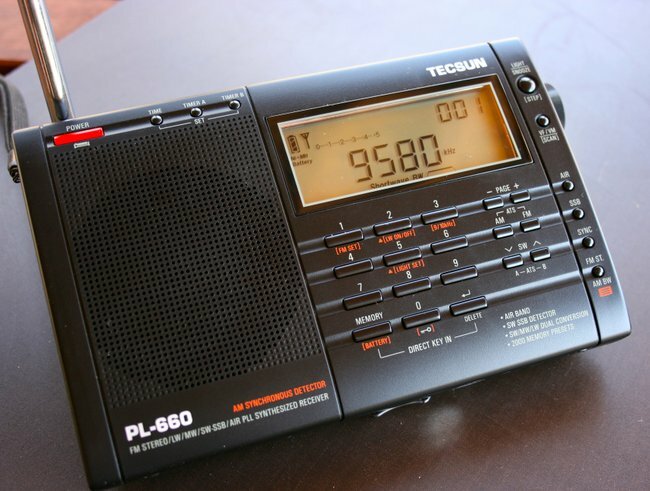 The Tecsun PL-880 is available at Universal Radio for $159.95 and on Amazon for $159.99. The Tecsun PL-880 is also available from Hong Kong-based sellers on eBay. If history is a guide, I expect all of these radios to prove worthy of the 2016 Shortwave Radio Buyer’s Guide. Indeed, preliminary reviews of the Field have been most favorable. Barring schedule changes, all models should be available in time for the 2014 holiday season…Stay tuned. 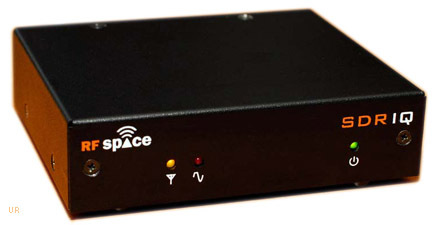 While tabletop receivers have started to decline with the advent of SDRs, there are many listeners who still prefer a simple, dedicated, stand-alone high-performance receiver with a good tuning knob and clear display, which is to say, a tabletop receiver. Tabletops are designed to perform best with a resonant external antenna. I reviewed the Alinco DX-R8T in 2011 a few months after it was introduced. I was favorably impressed with the DX-R8T. So much so, I purchased one after the review. It has excellent selectivity and sensitivity, a large display and tuning knob, a detachable faceplate (if your desktop space is limited), and a decent built-in speaker. What’s more, the DX-R8T has an SDR mode that allows you to hook up the receiver to your PC to see a spectrum display, and with an optional accessory cable, control its rig functions and tuning. The DX-R8T requires a regulated 12-volt power supply (not included). Cons? The DX-R8T lacks a selectable synchronous detector–a feature I enjoy using to combat adjacent signal interference. The Alinco DX-R8T is available at Universal Radio for $449.95. Click here to search eBay for the Alinco DX-R8T. Various versions of the Icom R75 have been on the market for well over a decade. This receiver stands the test of time because it’s a full-featured tabletop with attributes like twin passband controls, a two-level pre amp, separate AF/RF gain, adjustable AGC, an alpha numeric display, a direct frequency entry keypad, not to mention a logical, ergonomic layout for all controls. Amateur Radio operators, pirate radio listeners, as well as utility broadcast listeners will all appreciate the R75’s performance in SSB mode. Cons? The current base version of the R75 lacks synchronous detection, though some models in the past have had this option. The Icom R75 is available at Universal Radio for $669.95. Click here to search eBay for the R75. If you’re searching for maximum performance for the price, software-defined radios (SDRs) and IF receivers are hard to beat. These small “black box” radios require a computer to unlock their performance; none of these are stand-alone. But while I’ve never been a fan of combining my PC with radio listening, once I starting using an SDR, I never turned back. Now, 90% of the time that I’m on the air, it’s with an SDR. They’re simply incredible. The following selection of SDRs–and IF receivers–are all available for $1,000 or less. The Bonito RadioJet is included in this group because it is very similar to an SDR, but strictly speaking, it’s an IF receiver. Like an SDR, it requires a PC for operation. But while the RadioJet’s spectrum bandwidth is more limited than the SDRs that follow, it has advantages over the others. For one, the RadioJet is more akin to a PC-controlled radio–most of the hard work is done in the receiver itself, not your computer–-so even older model Windows PCs, tablets and netbooks can run the RadioJet application with ease. The RadioJet is great for travelers since it requires no external power supply: it derives its power from your computer, from the same USB cable used for data. The RadioJet is an excellent receiver and has a very low noise floor. If you like listening to DRM, you’ll be impressed with its native ability to decode the mode. Click here to read my comprehensive review of the RadioJet. The Bonito RadioJet 1102S is available at Universal Radio for $649.95. The RadioJet can also be purchased directly from Bonito in Germany. If you’ve read my Elad FDM-S2 review (coming soon!) you’ll know that this little SDR packs a powerful punch for the price. Indeed, I would venture to say that the FDM-S2 offers the best value among the SDRs listed here. Its performance is uncompromising, comparing favorably to receivers $300-400 more in price. The S2 also provides native DRM decoding. In short, the S2 makes for a fine DRM receiver. Any negatives with this rig? Some users have reported diminished receiver performance in the presence of high-powered AM stations (fortunately, not an issue in the rural area where I live). Additionally, the Elad application has a greater learning curve than, say, the Perseus or the Excalibur (below). Still, I like the S2 so much that even though I already own a benchmark SDR, I’m planning to purchase the S2 after review. The Elad FDM-S2 is available at Elad USA for $580.00. If you’re looking for a benchmark SDR, it’s hard to overlook the venerable Microtelecom Perseus. Though it’s been on the market for many years now, the receiver architecture holds its own and is as robust as they come. Selectivity and sensitivity are absolutely superb: no matter the mode or band. Another benefit of the Perseus is that users can network their receivers with relative ease, sharing them with other Perseus users. Negatives? The Perseus price point still tops the charts at $1000. And while the supplied application works quite well, it lacks features found in other SDR apps, and the window cannot be resized (though numerous customer requests have been made). Still, the Perseus is likely to remain a DXer’s receiver of choice for years to come. 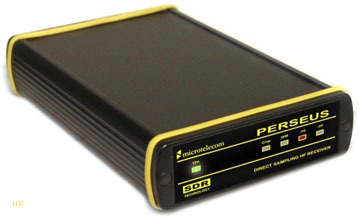 The Microtelecom Perseus is available at Universal Radio for $999.95. Click here to search eBay for a used Perseus. I have owned the WinRadio Excalibur since 2012, and it has become my primary home receiver. I have directly compared the Excalibur to the Microtelecom Perseus and the Elad FDM-S2 (above); any receiver performance differences are minor. As a radio broadcast archivist, I find the Excalibur to be the best receiver suited to capturing broadcasts, as it’s the only one in this group that can record up to 2 MHz of radio spectrum (and allow you to play back this recording later); up to three broadcasts can be captured simultaneously within that 2 MHz window. Negatives? The Excalibur application only works on Windows PCs. Additionally, it requires a dedicated 12V power supply, thus is less convenient than the RadioJet or FDM-S2 for travel and outdoor listening. Read my full review of the Excalibur by clicking here. The WinRadio Excalibur is available directly from WinRadio for $945.95. Click here to search eBay for a used Excalibur. The CommRadio CR-1a could be classed as either an SDR or a stand-alone tabletop receiver, as it fits both profiles. Furthermore, the CR-1a is as portable as nearly any of the portable radios mentioned above. In short, I really dig this radio! It’s beautifully engineered and mil-spec rugged; performance-wise, it’s hard to beat. Receiver sensitivity and selectivity are superb. The best part? The CR-1a has an optional internal battery that will power it for hours on a single charge. With antenna and fully-charged CR-1a, you will enjoy hours of outdoor listening while traveling [check out my recent travel review]. If you’re on the fence about getting an SDR or tabletop radio, grab the CR-1a; at $599.95, it’s a lot of kit for your investment. Click here to read my comprehensive review of the CR-1. The CommRadio CR-1a is available from Universal Radio for $599.95 and directly from CommRadio for $599.99. 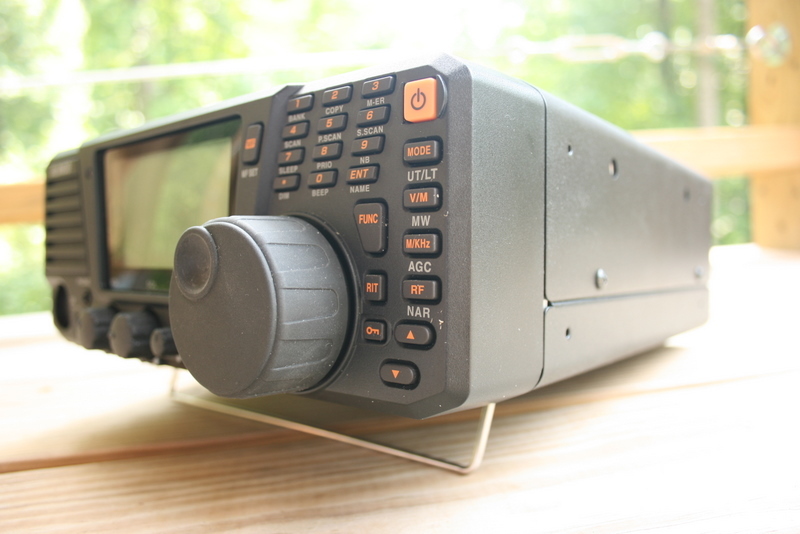 Click here to search eBay for a used Comm Radio CR-1 or CR-1a. 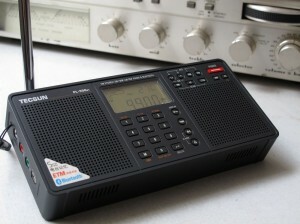 If you would like to view a comprehensive list of all shortwave radios currently on the market, check out the Shortwave Radio Index (http://swling.com/db). This entry was posted in Ham Radio, New Products, News, Portable Radio, Radios, Reviews, Shortwave Radio, Shortwave Radio Index, Shortwave Radio Reviews, Software Defined Radio, Travel and tagged 2014 Shortwave Radio Gift Guide, Alinco DX-R8T, Bonito 1102S RadioJet, CCRadio-SW, CCRadio-SWP, CommRadio CR-1a, Degen DE1103, Elad FDM-S2, Eton Availability, Etón Field, Etón Mini, Etón Satellit, Eton Traveler III, Icom R-75, Kaito KA1103, Microtelecom Perseus, Sangean ATS-909X, SDR, Shortwave Portables, Shortwave Radio Gift Guide, Shortwave Radio Reviews, Software Defined Radio, Sony ICF-SW7600GR, Tabletop Receivers, Tecsun PL-310ET, Tecsun PL-380, Tecsun PL-600, Tecsun PL-660, Tecsun PL-880, Winradio WR-G31DDC Excalibur on December 1, 2014 by Thomas. So we are thinking of just getting a SW radio receiver. A friend has purchased a Grundig satellite 750 but it does not seem to have the range, and he has not been successful connecting an antenna. I think I need a SW radio I can connect to an antenna. 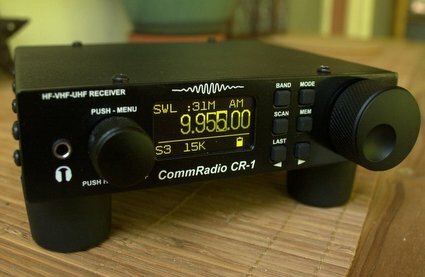 I am thinking of a CommRadio CR-1 ? Thanks for your question, Bob. I’m going to give you a few suggestions, then open this one up to your fellow SWLing Post readers, as I suspect there may be some with experience setting up and using an HF receiver on the water. Important: As Bryan commented, just after I posted this review, readers should note that none of the receivers/transceivers I offer here are designed for maritime use, thus they lack features like GMDSS, DSC and DGPS and have no extra protection from the corrosion of salt water on their circuit boards. For my part, as an inlander, I think you’re on the right track with the CommRadio CR-1 or CR-1a. Not only will it cover the entire HF spectrum (for HF weather fax, RTTY and many ship-to-shore communications), but it also covers VHF (64 – 260 MHz) and UHF (437 – 512 MHz) frequencies. The CR-1 is also a very stable receiver and covers all of the modes you’ll need (upper side-band, lower side-band, AM and FM). If you’re space conscious, fortunately the CR-1 has a very small footprint; you could mount it nearly anywhere. The CR-1 also has a built-in battery pack and can run/charge on an array of DC voltages (6-18 VDC). 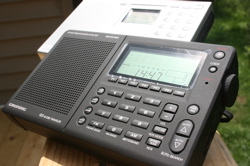 You may also wish to consider the Alinco DX-R8T (see our review) or the Icom R-75. The Alinco has a detachable face plate, thus may also be easily accommodated. The Icom R-75 is a great receiver for your application, as well, but is larger than the CR-1 and does not have a detachable face plate option. Again, I think you’re on the right track with the CommRadio CR-1. The Kenwood TS-480SAT is full-featured, small, and has a detachable face plate. Here my advice is going to sound a bit like that which I gave reader Phil recently: I would strongly urge you to get your amateur radio license. It’s a simple process–even elementary kids do it–and the license no longer requires a knowledge of Morse code (CW), (although I am a devotee of code and would suggest pursuing a knowledge of this at a future date). Moreover, the testing material will make for an excellent primer on radio communications, so if something goes wrong in the middle of the ocean, you’ll be better prepared to diagnose and fix it. Additionally, in case of an emergency, a ham radio transceiver would provide yet another means of calling SOS to a community that is well-versed in handling emergency communications. Check out this previous post for suggestions on getting your amateur radio license. Ham radio transceivers also offer excellent stability and the modes you’ll need to decode any voice or digital mode. The Alinco DX-SR8T. While not a small radio, this rig has a detachable face plate (with optional extension cord), a sensitive receiver and is a great value at $520 new. I favorably reviewed the receiver-only version of this radio two years ago. 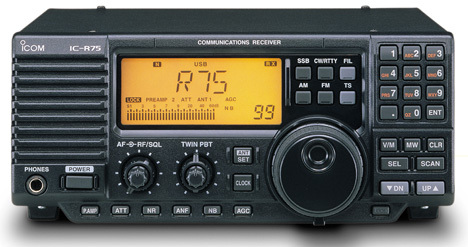 I’ve heard that the receiver in the DX-R8T is identical to the one in the DX-SR8T. I would purchase this from Universal Radio or Ham Radio Outlet. The Elecraft KX3 or Elecraft KX2 are two of my favorite general coverage transceivers–I own both. They can both be powered from a modest 12 VDC source and/or internal batteries. Both are limited to QRP (12 or 15W) transmit power, but an external portable 100W amp can be added. Both are exceptional radios in terms of performance. The Kenwood TS-480SAT. Also worth considering, this transceiver has an excellent receiver with better filters and a smaller footprint than the Alinco DX-SR8T. Though it costs nearly twice as much as the Alinco, it’s on sale until 11/30/13 for $974 from Universal Radio. The Yaesu FT-857D. This is probably the most compact among the transceiver options listed above. 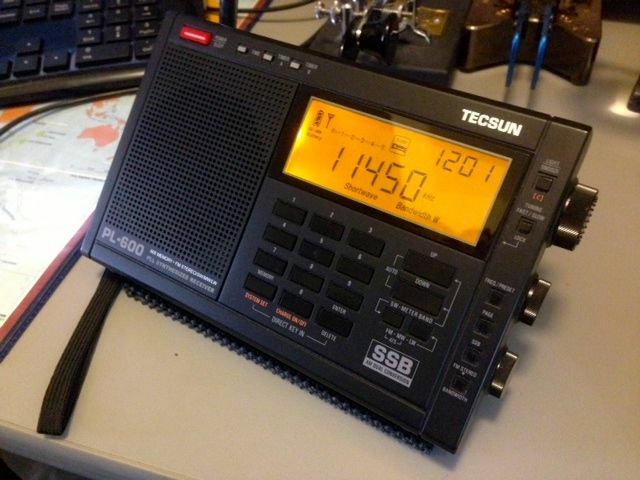 The FT-857D has been on the market for many years and has proven itself a capable mobile transceiver. The detachable face plate could easily be mounted anywhere you wish. 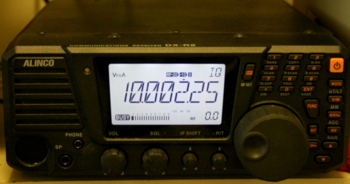 The Yaesu FT-857D can be purchased at Universal radio or Ham Radio Outlet. The Icom IC-7000 is an excellent choice for maritime operation. It’s possible to find a used one at a good value. Also consider buying a good-quality used general coverage transceiver from a reputable retailer like Universal Radio, Ham Radio Outlet, The Ham Station or Amateur Electronic Supply. Search for the three models listed above, but I would also consider the Icom IC-706MKII and the Icom IC-7000. Of course, you will need a good HF antenna for any of these options to work, even the CommRadio CR-1; a radio, after all, is only as good as its antenna. The type of antenna you can use will be limited by your ability to mount it on on your boat: some are limited-space wire antennas, others are whip antennas. Make sure the antenna will resonate on the frequencies important for your maritime travels. Fortunately, most of the retailers listed above have experience in this capacity. If I were on a boat, I would also carry a portable shortwave radio as a backup. 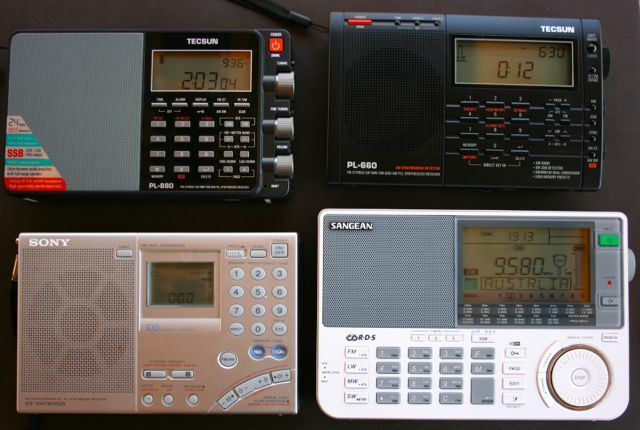 Some to consider are the Tecsun PL-660, Tecsun PL-880, Sony ICF-SW7600GR or the Sangean 909X. All of these have SSB mode and good sensitivity, selectivity and stability, although the Sangean ATS-909X requires an external antenna for optimal sensitivity. There are also a few compact travel radios worth considering as well, although sensitivity generally isn’t as good as the larger, full-featured portables mentioned above. I would consider the CountyComm GP-SSB, Digitech AR-1780, or the C. Crane CC Skywave SSB as a nice spare radio to tuck away on board. Hope this helps, Bob! Happy sailing! Update: Check out Frank’s maritime radio suggestions. This entry was posted in Ham Radio, How To, Mediumwave, Radios, Retailers, Reviews, Shortwave Radio and tagged Alinco DX-R8T, Alinco DX-SR8T, Amateur Radio, Best Shortwave Radio for Boat, Best Shortwave Radio for Maritime, Best Shortwave Radio for Yacht, CommRadio CR-1, Ham Radio, Icom IC-7000, Icom IC-706MKII, Icom R-75, Kenwood TS-480SAT, Maritime Operation, Questions, Shortwave Radio Reviews, Yaesu FT-857D on October 2, 2013 by Thomas. Alas–! It’s time to bid a fond farewell to my trusty Alinco DX-R8T. I’m only selling it to raise money to purchase hard drive storage for spectrum recordings and more review radios, which fuel this site. Needless to say, it’s in great shape and reviews most favorably. Indeed, the sensitivity is so good, I’m a little reluctant to sell it…But sacrifices must be made; there are some 4TB SATA drives with my name on them (plus, admittedly, I still have five other tabletop receivers for consolation). Click here to view the listing of my Alinco DX-R8T on eBay. This entry was posted in Radios, Shortwave Radio and tagged Alinco, Alinco DX-R8T, DX-R8T on September 1, 2013 by Thomas. Some time ago, I posted a review of the Alinco DX-R8T–a surprisingly capable, flexible and affordable dedicated tabletop receiver. In that review, I explored its capabilities as a tabletop unit, and was favorably impressed. But I knew then that one of the virtues of the DX-R8T is that it’s more than a typical tabletop: the control head (or, front panel) can literally be detached, and with an extension cable, can be moved as far away as 16 feet from the rest of the receiver. Also, with the optional ERW-7 cable and a shielded audio patch cord, you can connect the Alinco to your PC, converting it to a software-defined radio (SDR). Just to be fair, I wanted to further check out this alternative operation mode, and review it independently. I’ve recently had an opportunity to explore the Alinco DX-R8T/E as an SDR, and here’s what I’ve discovered. As it took some time to figure out how to get KGSDR, the Alinco control software, communicating with my DX-R8T, it’s fair to state that the Alinco’s SDR functionality is not exactly “plug-and-play.” Nor does Windows seem to find the USB driver automatically. You must download a USB driver for your computer, as well as download KGSDR from external sites. It’s also important to note that the Alinco website is not easy to navigate–at least, the relevant links are somewhat buried in large portions of site content. When I first attempted to set up my receiver as an SDR, I had to use a combination of the printed owner’s manual, the Alinco website, external sites, and simple determination. The ERW-7 is the cable that connects your Alinco DX-R8(T) to your computer. The ERW-7 is the USB cable that connects your Alinco DX-R8T with your computer. Specifically, it allows your computer to tune and control the DX-R8T; it does not carry audio. If you wish to have full control of your receiver via your PC, you will need to purchase the ERW-7. 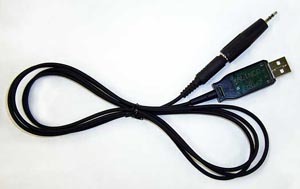 You simply plug one end of the cable (the one that looks like an 1/8″ audio connector) in the “clone” port on the back of your Alinco, the other end into an available USB port on your computer. The download page–at FTDI Chip, the manufacturer of the Alinco cable–has versions of the USB driver for most OS platforms. If you have Windows, you can save a little time by downloading the USB setup tool that will attempt to automatically load the USB driver. Otherwise, you can download and manually install the drivers for the Windows 32 bit version or Windows 64 bit version. The Alinco DX-R8T/E sends the received IQ signal to your PC via a shielded audio patch cord. 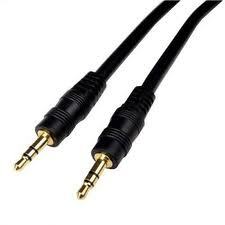 This is a standard audio cable that you can purchase at most electronics retailers. It needs to have 1/8″ stereo connectors on both ends, and it must be shielded. One end of the patch cord is plugged into the IQ port on the back of the receiver, the other is plugged into the microphone input on your computer. Your computer will need to “hear” the IQ (spectrum) audio produced by the Alinco DX-R8T/E. The receiver will only send the IQ audio to your computer if you tell it to do so. Fortunately, this is easily done: simply press the MODE button on the front panel of your receiver until FM appears. Then, simply press the FUNCTION button, then the MODE button. Your Alinco should now display “IQ” on the main display. You can feel confident the audio is now being sent to your PC. 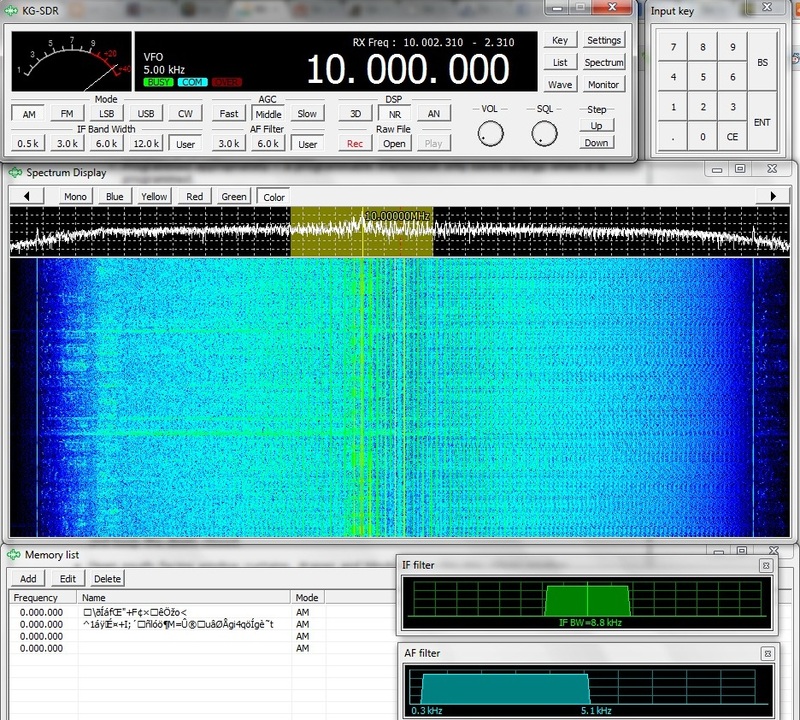 KGSDR is a software-defined radio application built specifically for the Alinco DX-R8T/E receivers. A third-party software developer maintains the download page for the KGSDR. Click here to download the setup software for Windows. (If this link doesn’t work, you can also download a zipped copy by clicking here.) To my knowledge, there are no updates to the software–as of time of this post, the current version is 1.0.0. Installation is simple and only requires that you extract the contents of the zipped folder, then run the KGSDR executable file. If all has been installed correctly, and the IQ signal is being sent to KGSDR, then you should be able to hear the received audio via your computer. I have actually installed KGSDR on three different computers. On my laptop, I had to troubleshoot and tweak the settings to get KGSDR to work. On the other two computers, it worked the first time. All of them were running a 64 bit version of Windows 7. If you change the tuned frequency on KGSDR from, say 5,000 kHz to 10,000 kHz, but your Alinco receiver does not change frequencies (it still displays the centered frequency on the front panel), then the USB driver has not been installed or configured properly. If the receiver tunes, but the audio is garbled or non-existent, you will need to check the audio cord connections. First of all, make sure it’s plugged into the microphone input on your computer (not the speaker/headphone port!) and the IQ port on the back of the Alinco. You cannot plug the patch cord into any other port port on the DX-R8T/E. The plug will fit in the headphone jack, for example, but the IQ port is the only one that sends interpretable analog information to your PC. I have read reports of people achieving remarkable results with their Alinco functioning as an SDR…I wish I could report the same. Affordable – the EWR-7 USB cable is about $45 US, and you can easily buy a shielded audio patch cable for under $10. For about $55 US, you can unlock the SDR functionality of your receiver. KGSDR is a very lightweight program, not likely to tax even older PCs. So, is it worth it? Well, yes––and no. If you have $55-60 US dollars to spare, it’s a real bargain. I believe the extra SDR features and functionality are worth the price. I have not yet tested this in a DXpedition setting, where there are a limited number of RF noise-producing devices around. If you have an RF-“quiet” location in which to use the Alinco as an SDR, you may find you have better results than I describe above. I imagine you will still suffer from some imaging of stronger signals, however. Plus, KGSDR is so lightweight, I believe you could use it on a netbook. Moreover, I have heard of owners who’ve actually used other open source SDR applications to drive the Alinco DX-R8T/E. Additionally, though I have not yet tested it, N4PY makes a software controller that would be far superior to the KGSDR–I base this on the fact that N4PY’s RX-320D software was such an improvement over the standard OEM package. If you wish to enhance the performance (not features) of your Alinco DX-R8T/E, I do not think it’s worth it to put your Alinco into service as an SDR. Again, I find that it somewhat compromises the performance of what is otherwise an excellent tabletop radio. If, like me, you have other SDRs in the shack, you’ll find that you’ll seldom use the Alinco as an SDR. Your other digital IQ-based receivers or IF receivers will most likely run circles around it. I think it’s pretty cool that for under $500, you can purchase an excellent tabletop receiver like the Alinco DX-R8T/E. Its price tag is significantly lower than its top two competitors (the Icom R75 and Palstar R30A). Still, even with this price edge, Alinco added bonuses like a detachable face plate and SDR functionality, making this a “Swiss Army Knife” of a receiver. So, again,I’ll say…thanks, Alinco! If you are using the Alinco DX-R8T or E as an SDR and feel you are achieving better performance than I’ve described, or would like to share any other thoughts/suggestions, please comment below. Note that my Alinco is a very early-release–perhaps from the first production run. It is possible that some of the issues I mention above have been resolved in later production, or that I simply have not finished properly tweaking settings. I await your responses! This entry was posted in Radios, Reviews, Shortwave Radio Reviews and tagged Alinco, Alinco DX-R8 Review, Alinco DX-R8E as SDR, Alinco DX-R8T, Alinco DX-R8T as SDR, Alinco DX-R8T Review, Alinco DX-R8T/E, Shortwave Radio Reviews, Software Defined Radio on August 25, 2012 by Thomas.